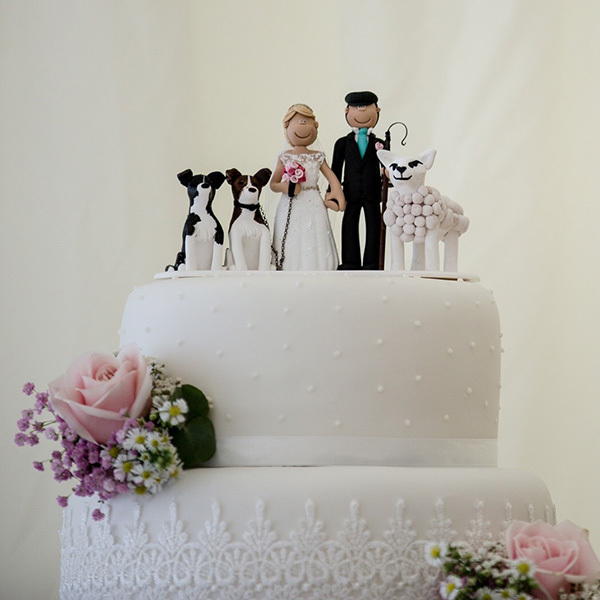 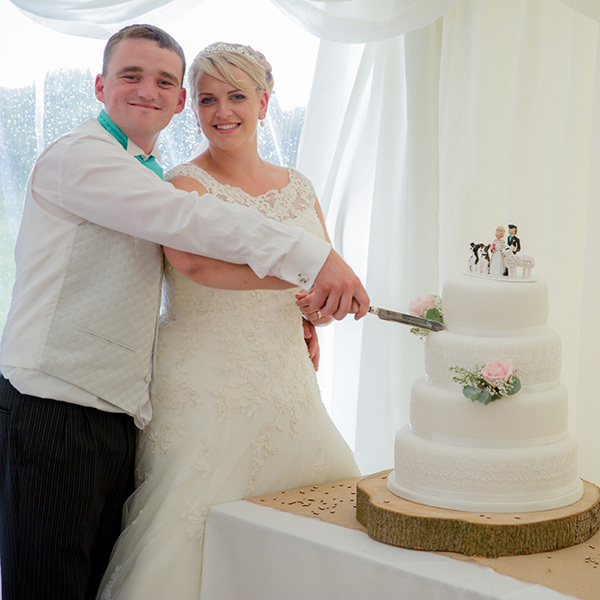 The cutting of the cake featuring our sheep cake topper! 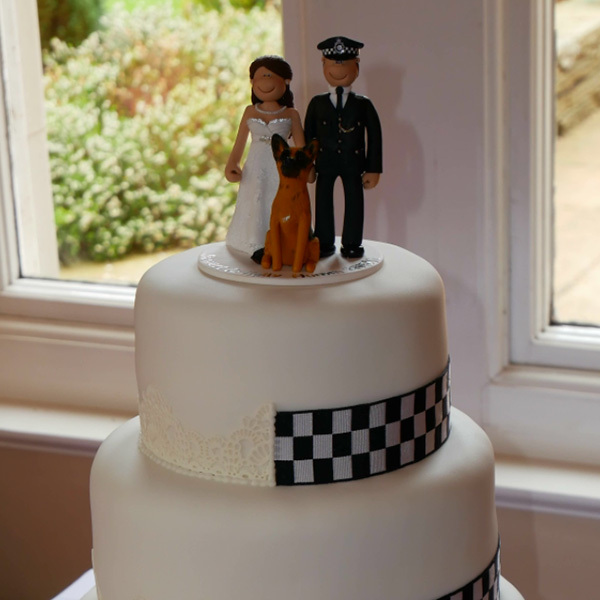 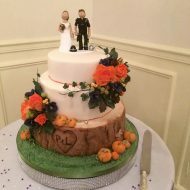 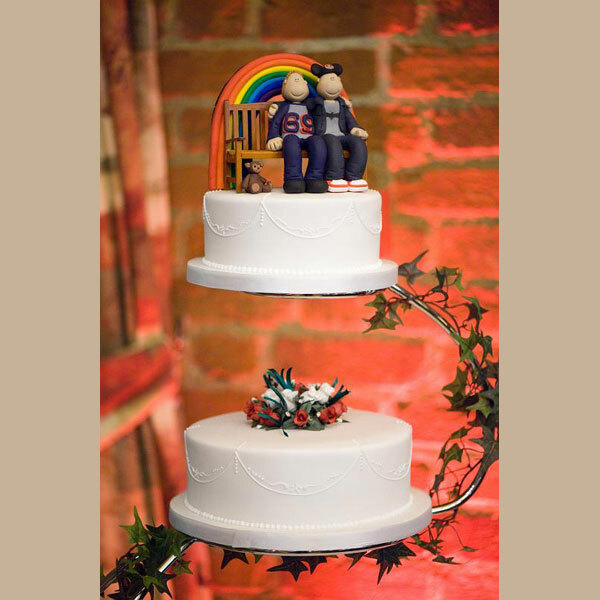 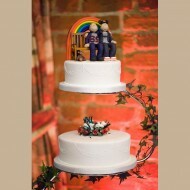 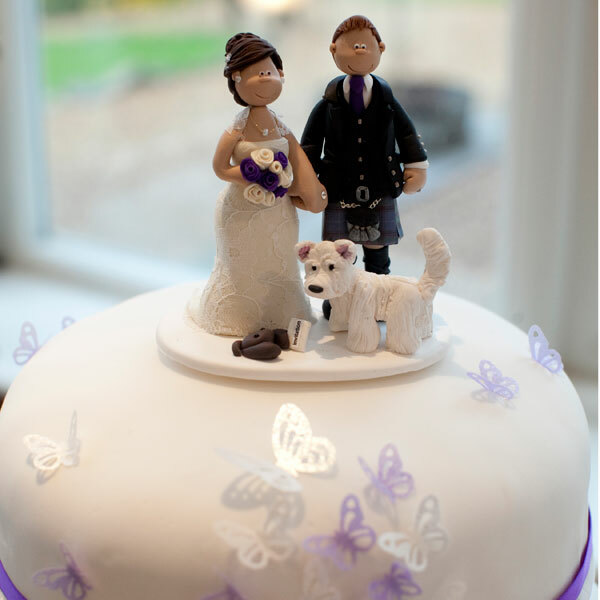 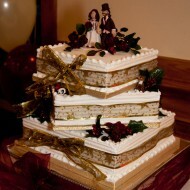 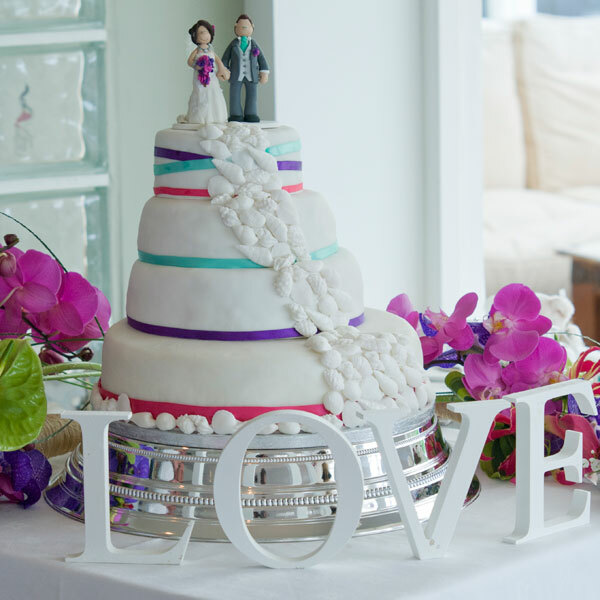 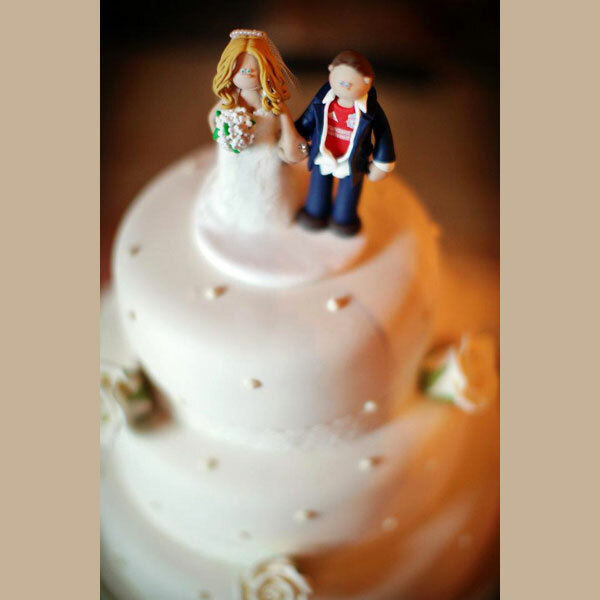 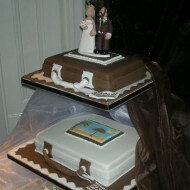 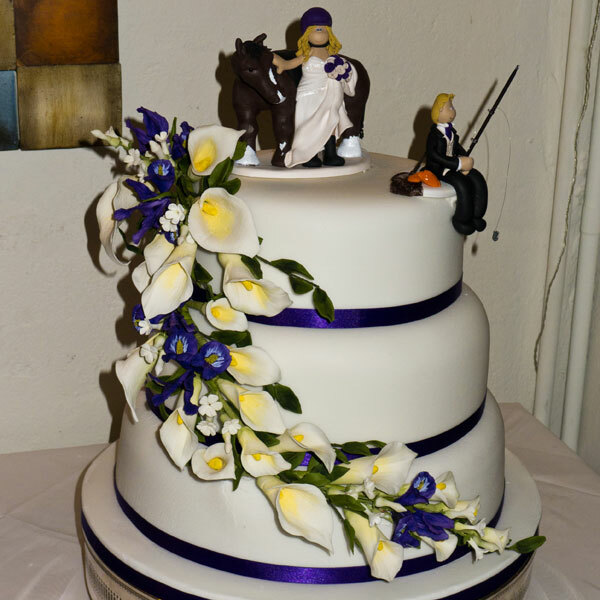 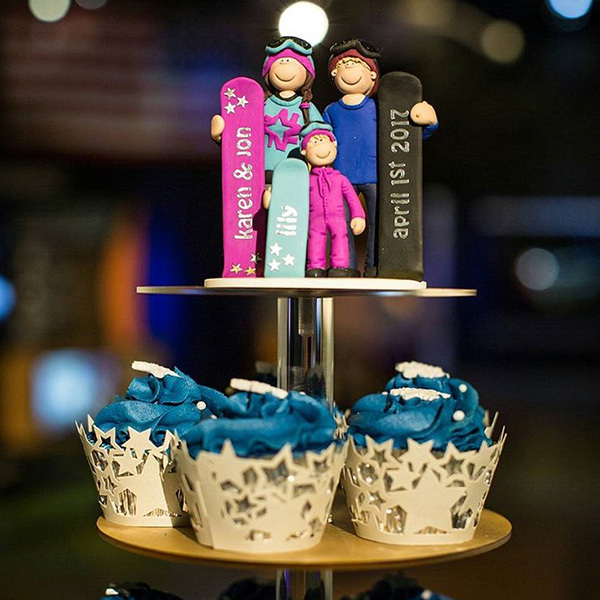 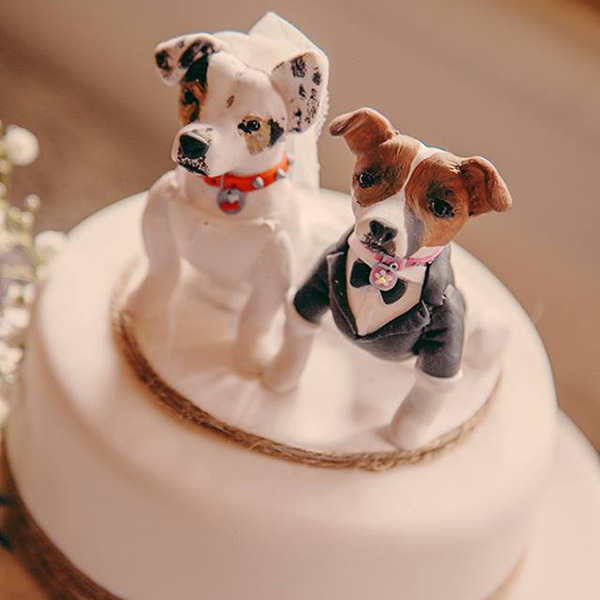 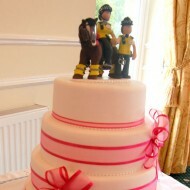 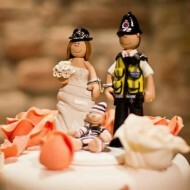 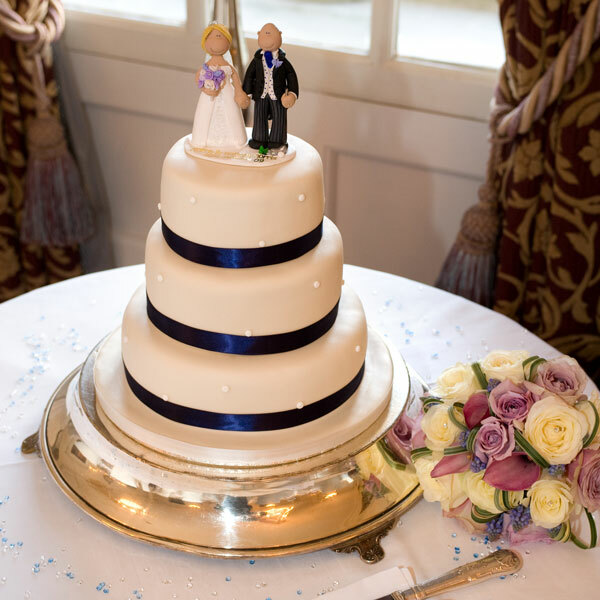 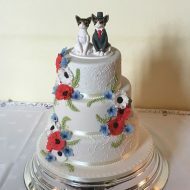 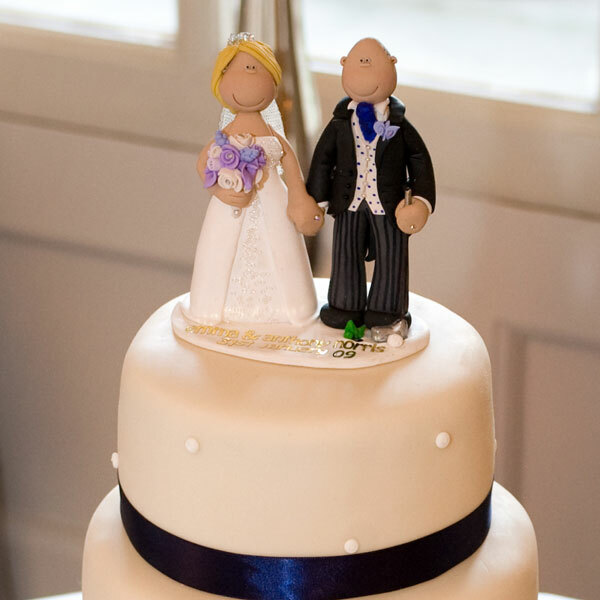 A police wedding cake topper on top of a police themed wedding cake! 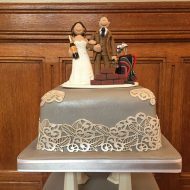 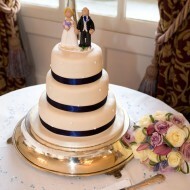 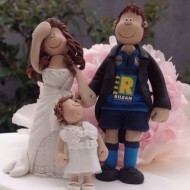 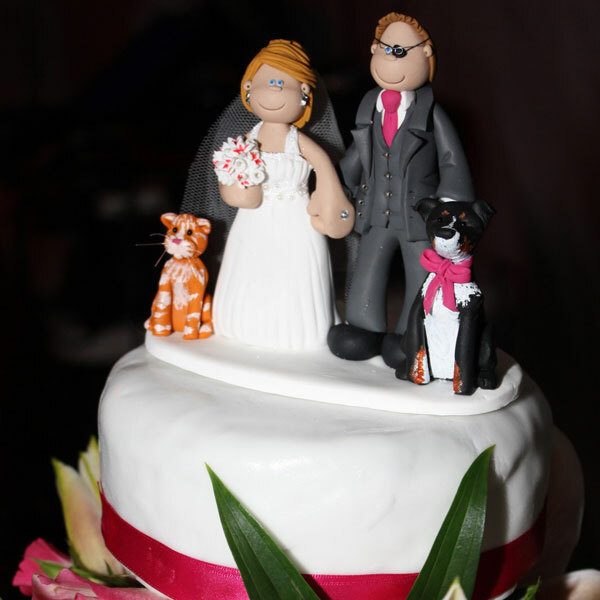 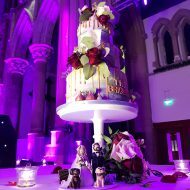 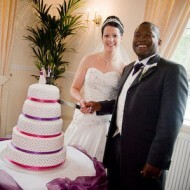 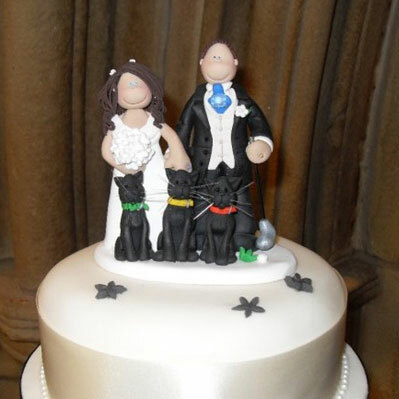 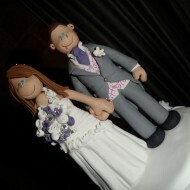 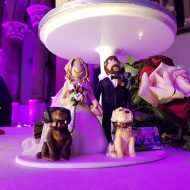 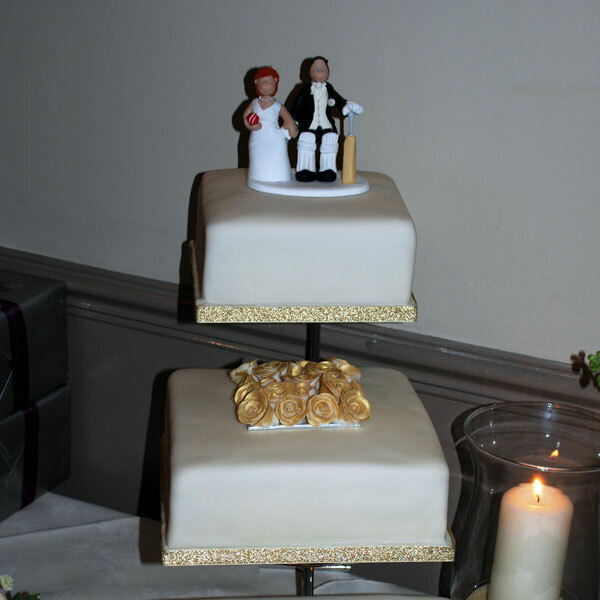 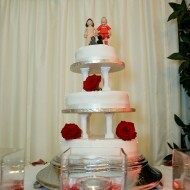 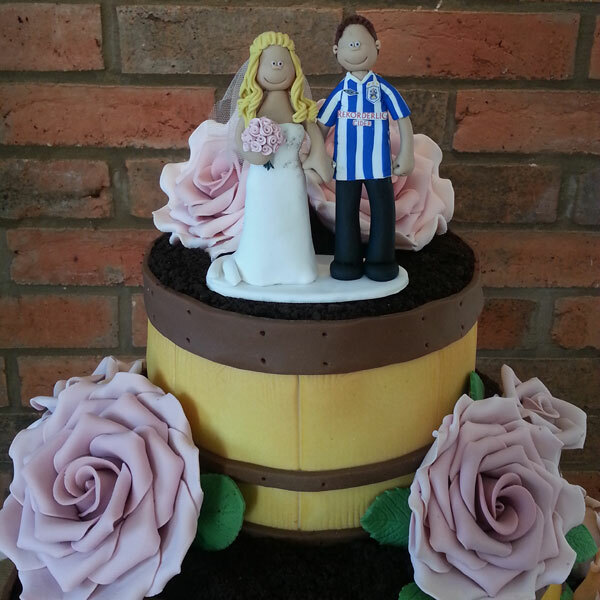 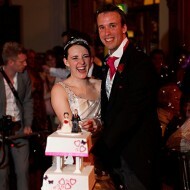 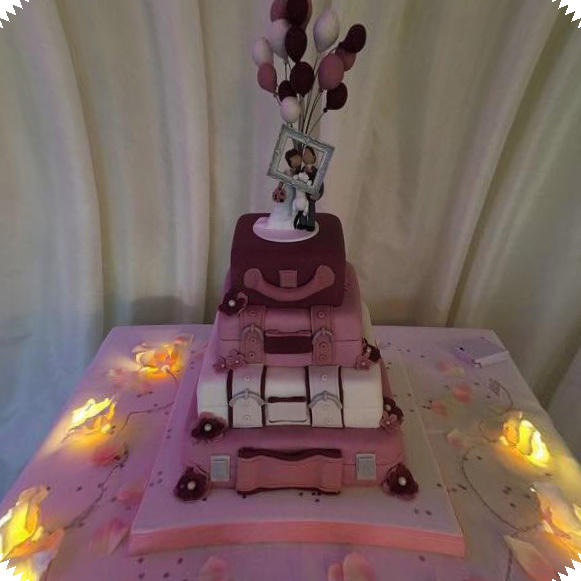 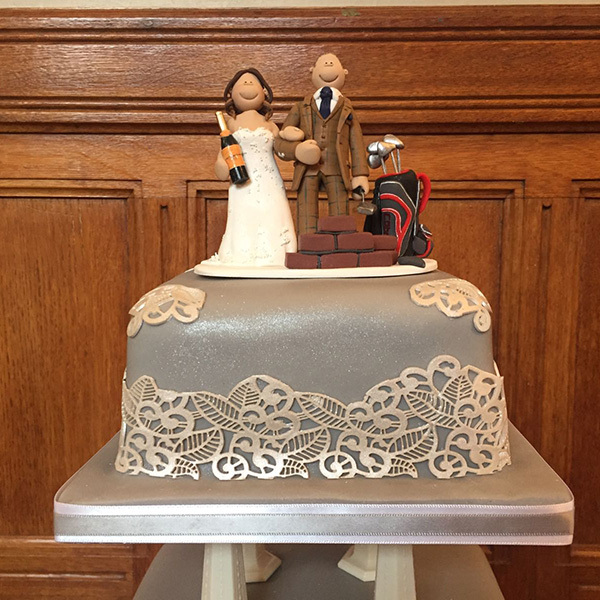 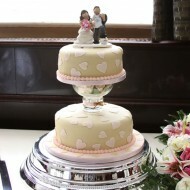 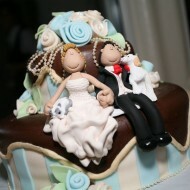 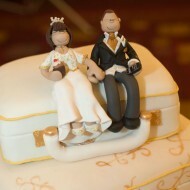 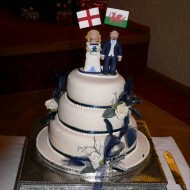 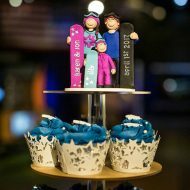 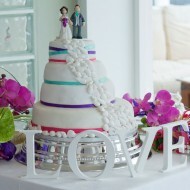 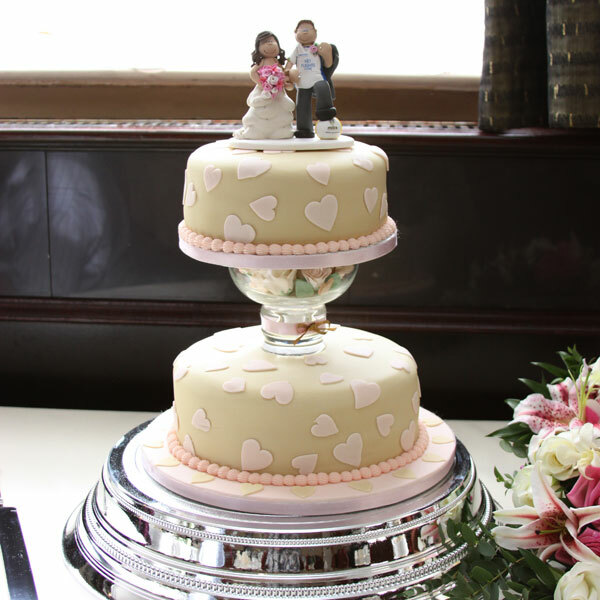 A rugby player with his bride and baby daughter on top of their cake! 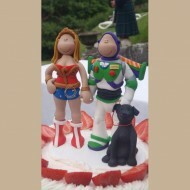 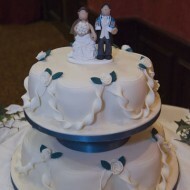 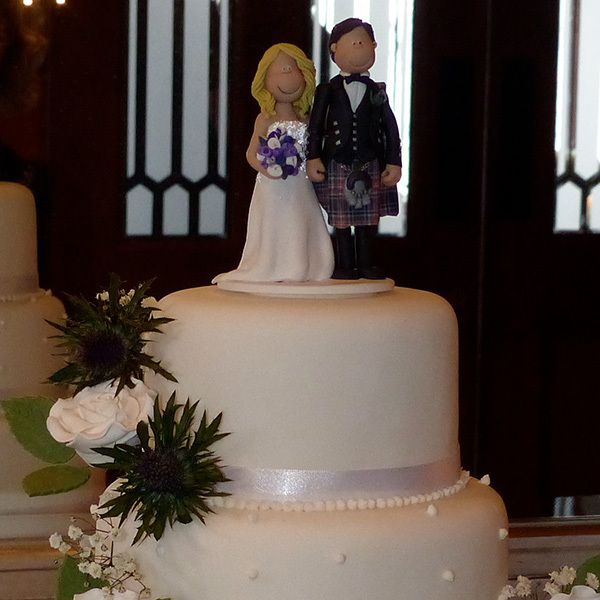 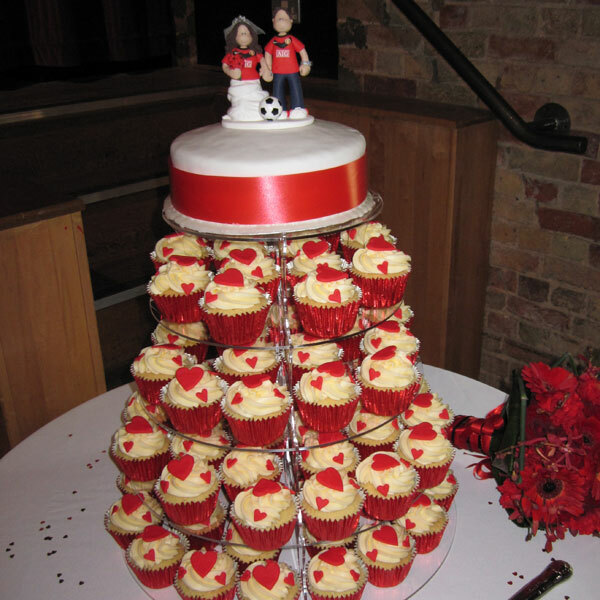 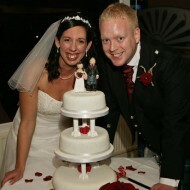 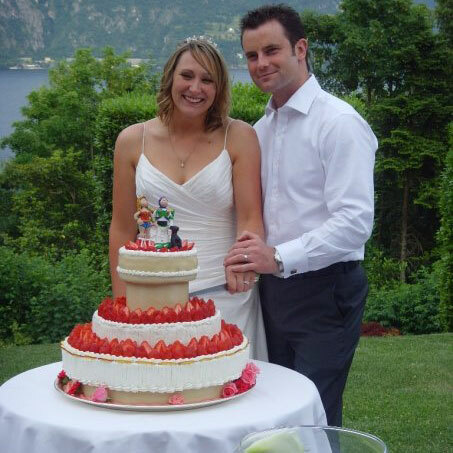 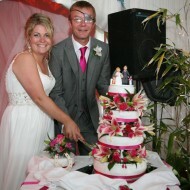 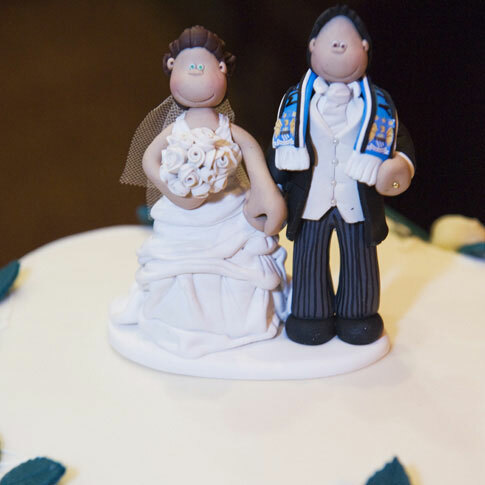 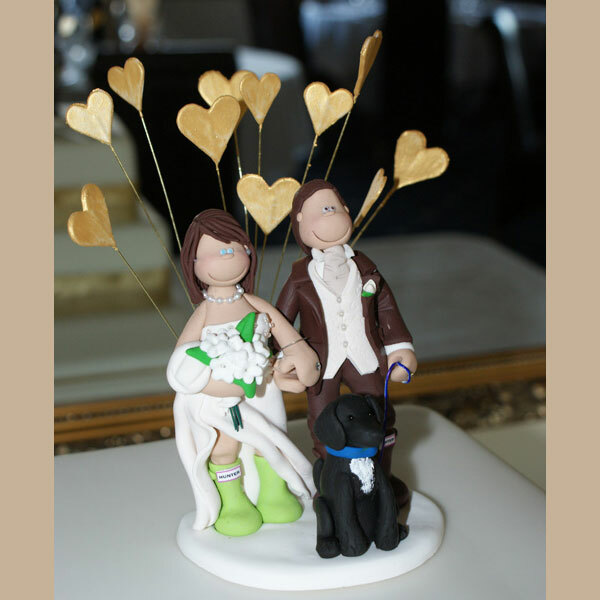 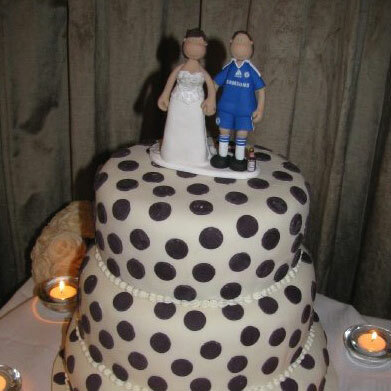 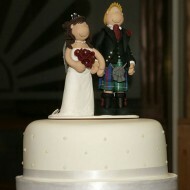 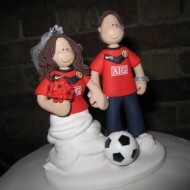 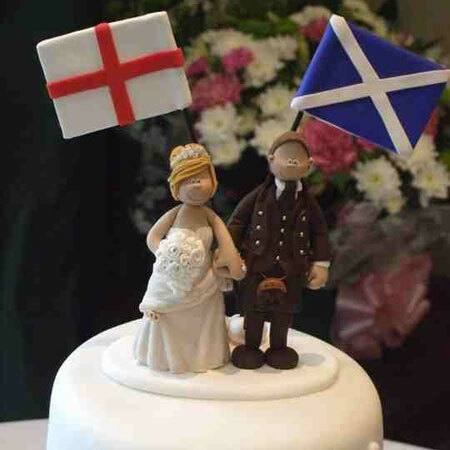 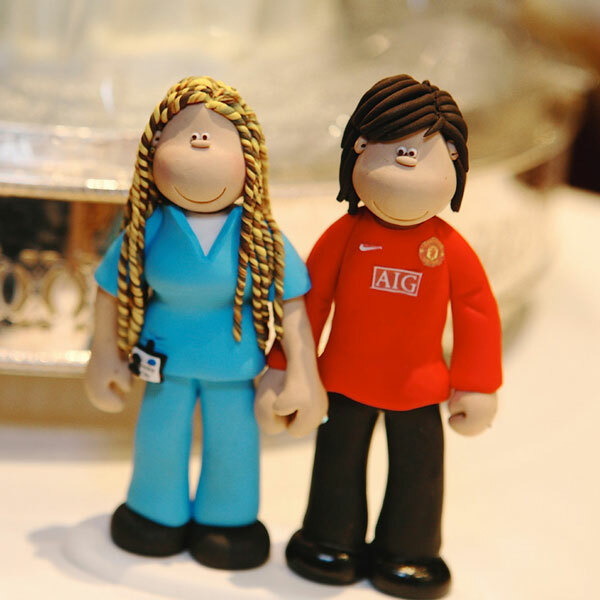 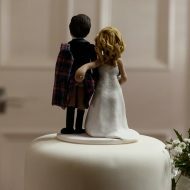 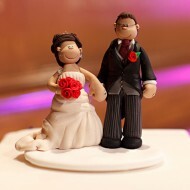 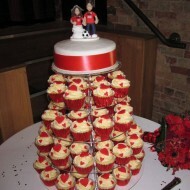 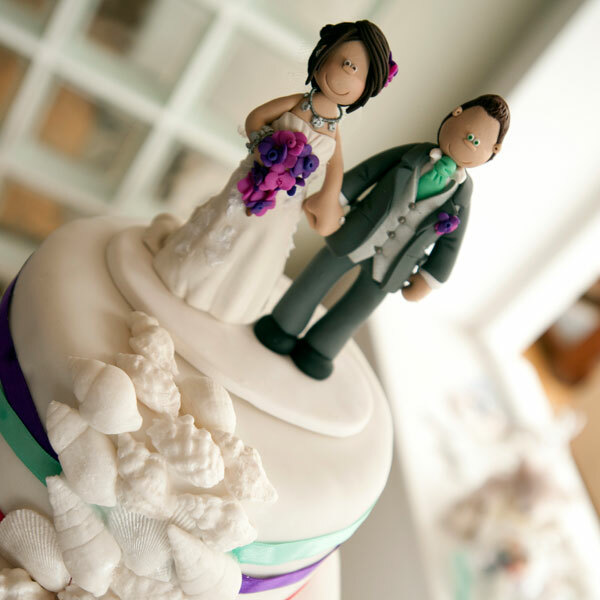 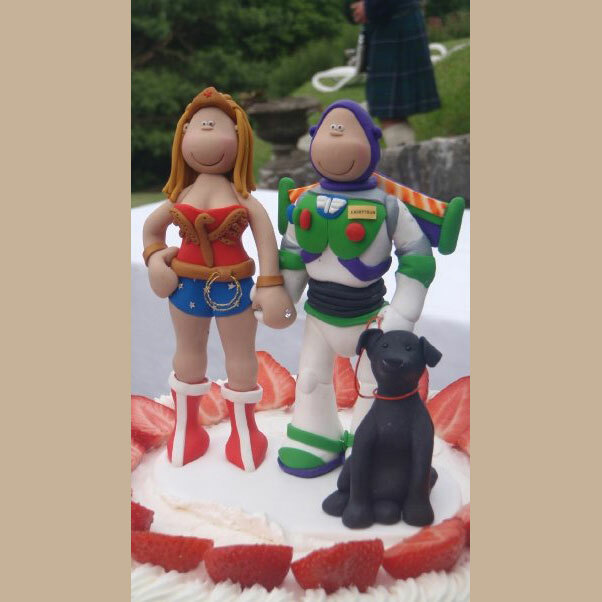 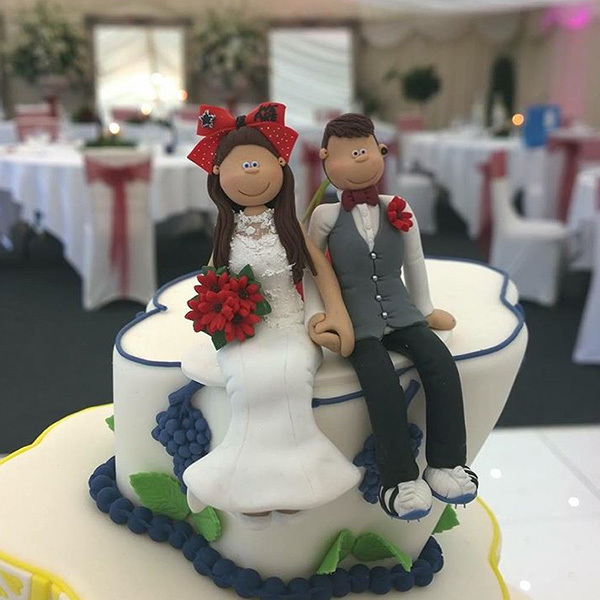 This cake topper features a Man Utd & a Holby City Fan! 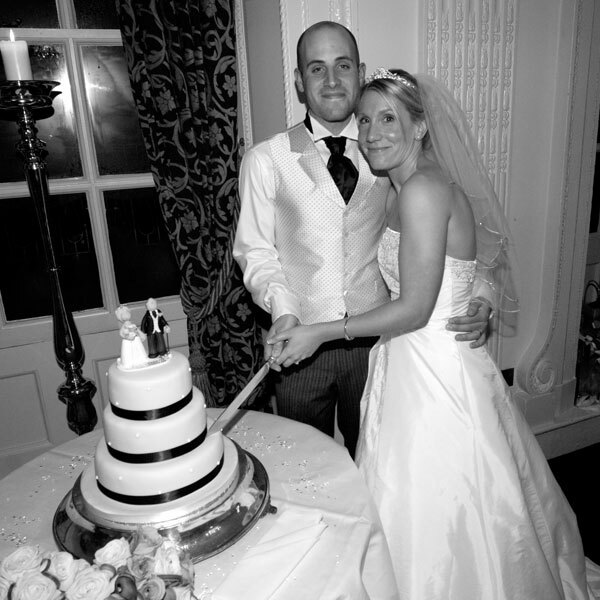 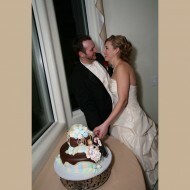 A groom fishing off the side of his wedding cake! 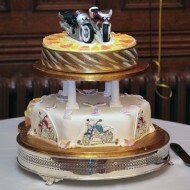 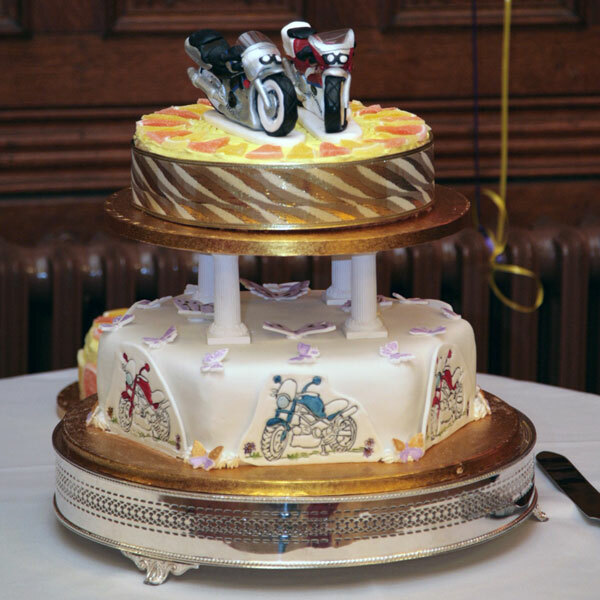 No bride and groom in this topper, just 2 motorbikes! 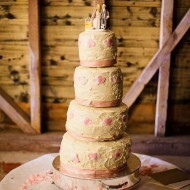 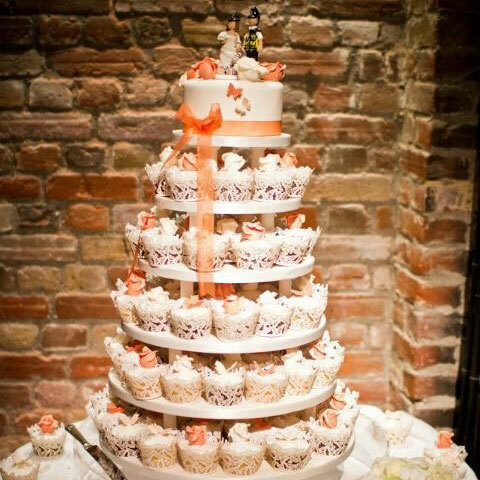 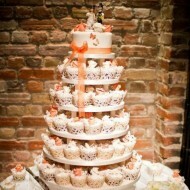 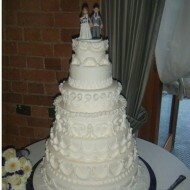 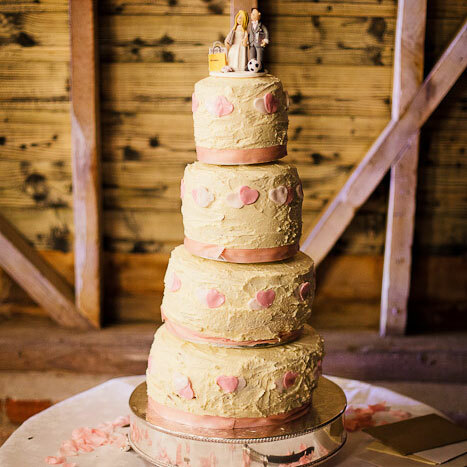 A polka dot themed cake with one of our toppers on top! A Manchester City themed cake with a matching topper!